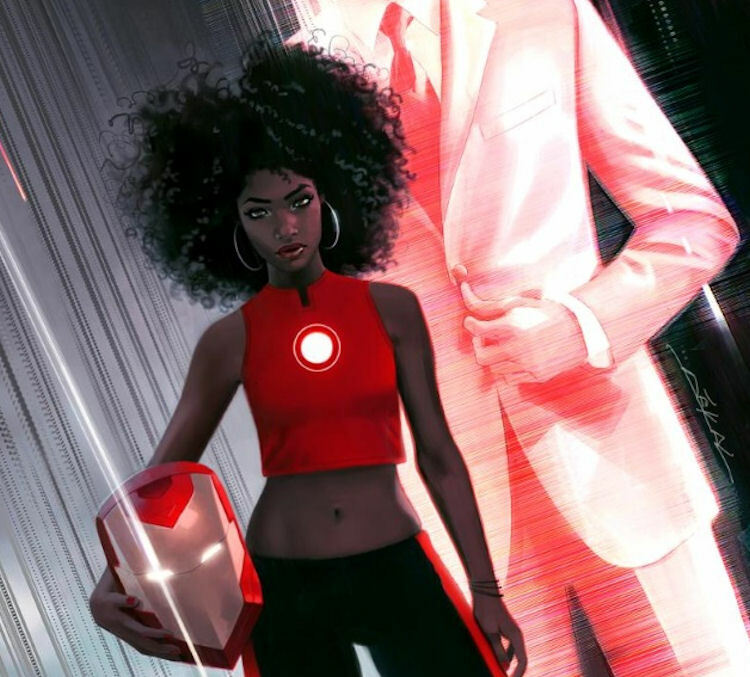 If you’ve not heard the news by now, there’s going to be a new Iron Man in town and her name is Riri Williams. The honchos at Marvel Comics announced that, at the end of the imprint’s latest mega-crossover event, Civil War II, Tony Stark is going to take a break from the suit and hand the reins over to a 15-year-old African-American student at MIT. While the comics and TV side of Marvel have given us diverse characters such as Peggy Carter, Kamala Khan, Daisy Johnson, Miles Morales, Jessica Jones, and Luke Cage (TV version), in recent years, the movie side, while making some progress thanks to the introduction of Black Panther and the upcoming Captain Marvel, is looking downright out of step with the rest of the world. It’s difficult to argue with Marvel Studios’ results (billion dollar box office isn’t as easy as making the two most popular superheroes of all time slow-motion fight in the rain), but the fact is that, as recently as this spring, Marvel Studios honcho Kevin Feige was evasive when asked about even the possibility of a Black Widow movie. The Plan may be working but that doesn’t mean it doesn’t feel a little too “old Chris boys’ club” for a lot of people’s tastes. All of which makes the introduction of Riri Williams so rife with possibility. Marvel isn’t screwing around, either. Brian Michael Bendis is handling the writing duties on this, which is significant. You might not know his name, but, if you’ve seen any Marvel-produced movie, you’ve seen Bendis’ work. He was a key creator of the Ultimates line of Marvel comics that changed Nick Fury from looking like Kurt Russel with an eyepatch to Samuel L. Jackson with an eyepatch. The Ultimates served as the inspiration for the entire Marvel Cinematic Universe. Also, if you liked the first season of Jessica Jones on Netflix, that whole story sprang from the mind of Bendis. 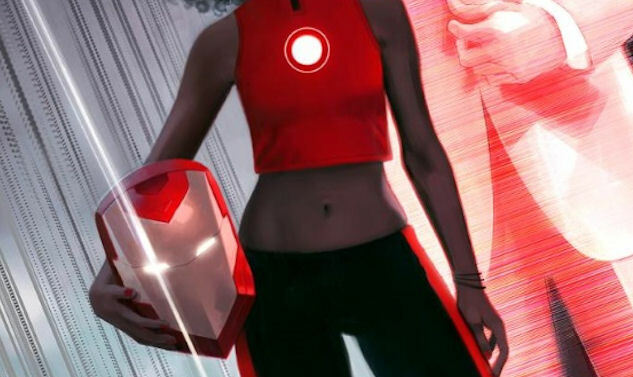 So, basically, Riri Williams is in the hands of the most influential creative mind in the Marvel stable right now. With just her introduction, Williams is a fascinating character. She is a teenaged technical genius who managed to reverse-engineer an old design of Tony Stark’s armor and build it in her dorm room. There’s no hint of decades-long sidekickdom that was the fate of so many black and female comic characters introduced before her. She’s her own woman, and a badass in her own way right out of the gate. Bendis himself said that Williams is probably a little smarter than Tony, which would arguably make her one of the top five intellects in Marvel comics (but that is a debate for another post). If his track record is any indication, Bendis is going to round Williams into a complex character that will translate well to mainstream audiences. There won’t be very loud screaming about Williams’ takeover ruining childhoods and whatnot, either, because Tony has taken sabbaticals like this before in the comics (including the seminal Demon in a Bottle storyline). This won’t immediately change the current trajectory or casting on the movie side, but what lies beyond for Williams is interesting. She’s not going to be encumbered by the modern political pitfalls attached to Kamala Kahn, who is a Muslim, or have the stereotyped baggage that follows older characters like Luke Cage and Black Panther to this day. She’s going to be a smart, heroic person who is not a white male (for a change) and much more ready-made for average people to digest. Add the fact that Robert Downey, Jr., will be 54 when the final movie of Marvel’s Phase 4 rolls out in 2019. While cashing the checks RDJ gets for playing Tony Stark never gets old, he doesn’t want to do this forever, either. Passing the suits on to a character like Williams would be a great way to transition out of the old guard of Marvel Studios’ early days and into the more diverse 21st century.